Pharmacy technicians perform many of the activities related to the receipt and dispensing of prescriptions in retail or institutional pharmacies. 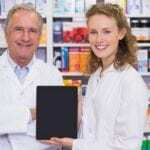 They work under the supervision of a registered pharmacist and must obtain a license from the California State Board of Pharmacy to function in the role. In community (out-patient) pharmacies, technicians receive and prepare medications, add patient information to the pharmacy database, assist with the control of inventory, package and label medications, assist with customer service, and oversee other administrative duties in the pharmacy. 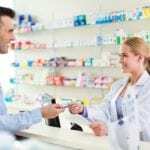 Pharmacy technicians employed in institutional (in-patient) pharmacies may perform duties that are widely different from those in outpatient settings. The requirements in the inpatient environment might include the preparation of medication for distribution to patients’ rooms, the use of automated dispensing machines and unit dose cassettes, inventory control, updating medical records, and preparing sterile products and non-sterile products. A growing number of pharmacy technicians are assuming positions in home health care and infusion pharmacies where they supply intravenous medications and other health care products to patients who are confined to their homes. The Pharmacy Technician Certificate program at Cerritos College prepares students for employment in a pharmacy setting. Students must complete 31 units in 3 to 4 semesters to qualify for the Pharmacy Technician Certificate. An A.A. degree option is also available and requires completion of 60-semester units. The ASHP accredited program includes theory and practical experiences in a real-world pharmacy. Registered pharmacist and pharmacy technician instructors will use PioneerRX, a leading pharmacy software, to enhance learning experiences for students. Course modules include Pharmaceutics, Pharmacy Introduction, Pharmacy Skills Lab Intro, Pharmacy Operations I, Pharmacy Operations II, Pharmacy Operations III, Pharmacy Operations IV, Pharmacy Technician Pharmacology I, Pharmacy Technician Pharmacology II, Clinical Experience I, and Clinical Experiences II. Students will benefit from clinical experiences in out-patient community and hospital pharmacies. Graduates are eligible to apply for a Pharmacy Technician License. They may use the foundational knowledge to pursue higher education in healthcare. Day and evening schedules are available. Tuition costs $46 per unit for the approximate cost of $1,600 including student activity fee, health fee, lab fee, and parking. Students will need to purchase textbooks, uniforms, and supports and provide transport to the clinical sites. The pharmacy technician program at Santa Ana College is targeted at adults who plan to work in an outpatient, inpatient, or home health pharmacy. The program has accreditation from the American Society of Health-System Pharmacists (ASHP) and is one of the first community colleges to receive this honor. Course modules include Introduction to Pharmacy Technology, Body Systems I, Body Systems II, Beginning Pharmacy Calculations, Advanced Pharmacy Calculations, Pharmacy Operations, Inpatient Pharmacy Services, Sterile Products, Pharmacy Technology Skills Lad, Pharmacy Technology Externship Outpatient, Pharmacy Technology Externship Outpatient, and Pharmacy Technology Externship Outpatient. Admissions open in the Fall and Spring semesters, but it is also possible to begin courses in the Summer semester. Daytime and evening schedules are available in the Spring and Fall semesters only. Persons interested in enrolling in the program must apply for admission to SAC – no separate application for the pharmacy technician program is required. Tuition is $46 per unit for residents of California. Addition costs for fees, textbooks, supplies, and uniforms. Textbooks cost approximately $400. The certificate program requires completion of 16.5 units of major courses. The advanced certificate requires completion of 26 units of major courses. The North Orange County Community College District School of Continuing Education’s (SCE) facilitates a pharmacy technician program that will equip students with the skills to assume entry-level positions in a community, institutional, or home health care pharmacy. The program includes classroom theory and hands-on experiences and exceeds the State Board of Pharmacy’s requirements for registration. Required courses include Patient Lab for the Pharmacy Technician, In-Patient Lab for the Pharmacy Technician, Pharmacy Operations Lab, Medical Terminology, Pharmacology I, Pharmacology II, Introduction to Pharmacy Technician, and Pharmaceutical Mathematics. The externship component of the program requires the completion of 320 hours of off-site experiences. It will include 120 hours in an out-patient setting and 200 hours in an inpatient setting. Classes meet on a trimester schedule, and the entire course may be completed in 15 to 18 months. Students who successfully complete the program may apply for registration as a pharmacy technician in California. Use the contact information below for details on class times and tuition. The Pharmacy Technician program at American Career College leads to a Pharmacy Technician Diploma. The program’s emphasis is the preparation of adults to fill the need for professional technicians in the manufacturing, distributing, and pharmaceutical support industries. The college offers an accelerated program that lets students earn the diploma in just 9 months. 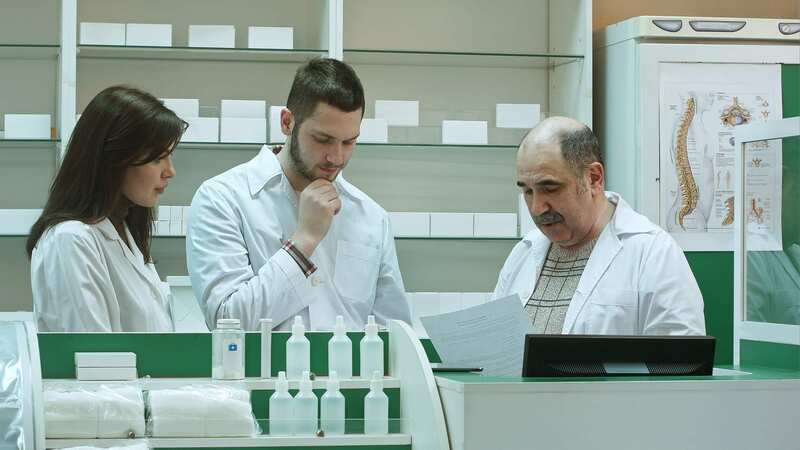 Students will learn how to label prescriptions, read and interpret prescriptions, manage inventory, and dispense medications under the supervision of a licensed pharmacist. Theory and practical sessions will aid students in the understanding of the role and responsibilities of a pharmacy technician, trade and generic names of drugs, classification of drugs, routes of administration, pharmacy law, pharmacology, dosage calculations, medical and pharmaceutical terminology, preparation of sterile products, filling prescriptions, and basic anatomy. Graduates will have the confidence to work in any pharmacy setting. The entire curriculum will cover seven modules – Pharmacy Law, Drug Fundamentals, Pharmacology, Drug Distribution, IV Preparation, Retail Preparation, and Pharmacy Technician Externship. Tuition for the program is $18,350. Books and supplies will cost an additional $175. UEI College prepares adults for an entry-level position in pharmaceuticals. Enrollment is year-round, and students can complete the program in just 10 months. Experienced instructors ensure students develop the skills that employers need. The curriculum combines academics with real-life experiences the drugs and their effects, the responsibilities of a pharmacy technician, dispensing pharmaceuticals, patient profiles, processing insurance claims, and inventory management. It covers eight modules – Sterile Preparations, Pharmacology and Compounding, Retail Pharmacy Procedures, Hospital Pharmacy Procedures, Internal Medicine, Pharmacy Law, Internal Medicine, Health Insurance and Billing, Retail Pharmacy Procedures, and Externship. Tuition for the program is $19,900. The Pharmacy Technician Certificate Program at North Orange Continuing Education is accredited by the American Society of Health-System Pharmacists (ASHP) and exceeds the requirements for registration with the State Board of Pharmacy. Graduates are eligible to register as a Pharmacy Technician with the California Board of Pharmacy. The school offers two certificate programs – Pharmacy Technician Registration and the ASHP Accredited Pharmacy Technician. Classroom theory and pharmacy externship prepare students to transcribe prescriptions into the pharmacy database, prepare prescription labels, classify medications, manage inventory, complete insurance bills, communicate effectively, process incoming prescriptions and distribute drugs, and distinguish generic medications from their brand name counterparts. Students will also learn how to refill prescriptions, and prepare sterile and non-sterile products. The program may be completed in 10 to 12 months. Tuition is free, but students must purchase textbooks, a lab coat, parking pass, and other supplies. Students enrolled in the pharmacy technician program at Downey Adult School will learn standards and ethics, drug dosages, recordkeeping, drug manufacturing, pharmacy calculation, laws and regulations, conversion tables, and labeling of drug products. Course topics include Medication Safety, Basics in Sterile and Non-Sterile Compounding, Basic Concepts of Pharmacology, Pharmacy Law and Regulation, Pharmacy Inventory Management, Pharmacy Billing and Reimbursement, Pharmacy Quality Assurance, Medication Order Entry and Fill Process, Pharmacy Information System Usage and Application, and Job Preparation Skills. Apart from classroom lectures, students will also gain hands-on experience during a 120-hour externship in a pharmacy setting. Students must participate in the mandatory externship to complete the course and earn a Pharmacy Technician Certificate. Graduates will be eligible for registration with the California State Board of Pharmacy. Day and evening programs are available to meet various schedules. Tuition for the program is $3,499 and does not include expenses for uniforms, textbooks, and other supplies.